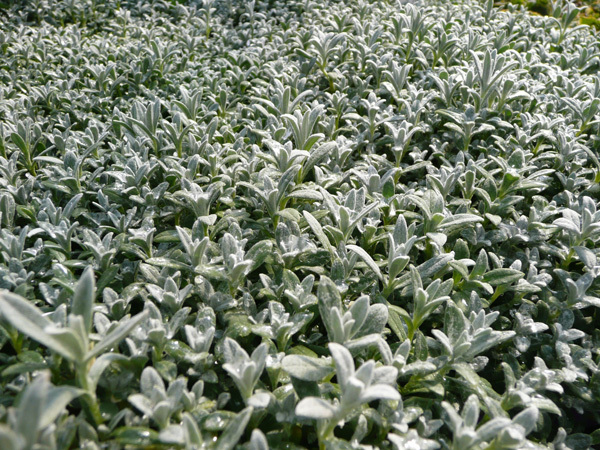 A very useful groundcover perennial, often grown in dry, sunny areas with poor soil. 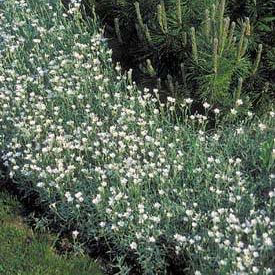 Plants form a low, fast-spreading mat of silvery-grey leaves, studded with tiny white star flowers in late spring and early summer. An indestructible choice for difficult sites, but be sure to plant this where its spreading habit will not become a problem. Beautiful spilling over rock walls or on steep sunny slopes, used as a lawn substitute. Also grows well in tubs or mixed containers. Easily divided in spring or fall. Plants should be clipped hard or mowed (to 2 inches) after blooming to maintain a tidy habit.